The Bean definition: smart visual process empowerers. They enrich and speed up input, connect people while securing throughput and foster deep dialogue with focus on thoutpute right output. 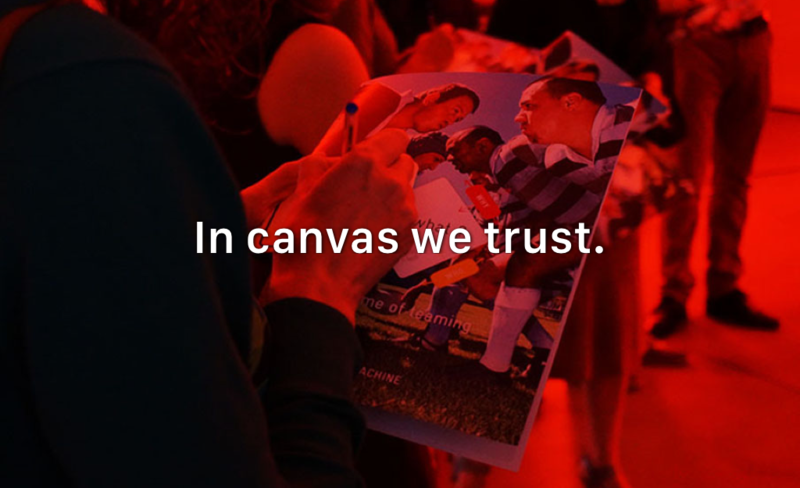 In canvas we trust. “Any ideas anyone?” This FAQ is a top process killer. It rarely triggers others to speak up (first). And if people do, it often is a debris of ideas causing chaos. Yet, the results of your meeting (training, workshop, brainstorm,...) depend on the quality of your input. Therefore Beanmachine meticulously designs it canvasses in order to enable all parties to contribute to the exercise from the very start, combining smart flows with attractive user experience. 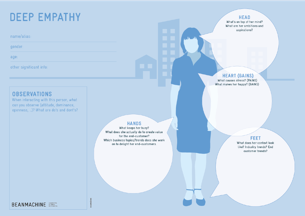 This ‘customer empathy’ canvas helps people getting their thoughts straight and thus speed up their thinking process. Especially at the beginning of a session it gives your group a jump start. This specific canvas is often used when it’s necessary (or desirable) for the participant to take another perspective. It really puts you in your customer’s shoes. Between input and output several steps are taken, both diverging and converging, and not always predictable. On the one hand Beanmachine canvasses make sure useful content doesn’t get lost in this more complex stage of the process. On the other hand it allows multiple thinking but meanwhile keeps the group working together as a team. 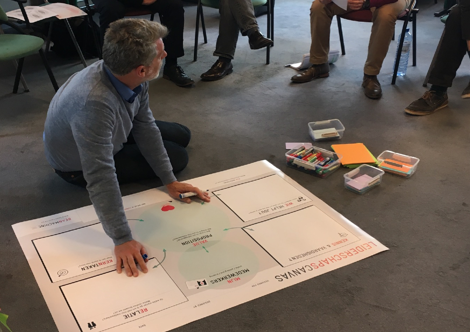 These Connection and Matchmaking Canvasses have become indispensable in more complex contexts, for instance the M&A projects we facilitate. A load of valuable ideas and opinions used to get lost. 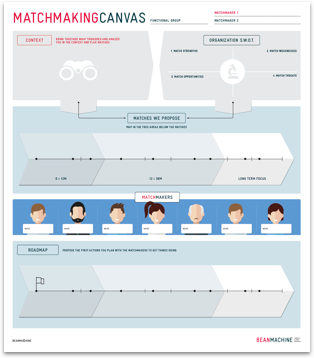 Since we use this canvas – customized to the project’s needs – our clients manage to consolidate their exercise far more easily. On top it keeps the team working... as a team. We love discussion. We want discussion. We evoke discussion. But… good discussion on what really matters and within time limits. That’s why Beanmachine canvasses are always designed towards a clear and well structured output. Here our graphic designer has a keyrole. 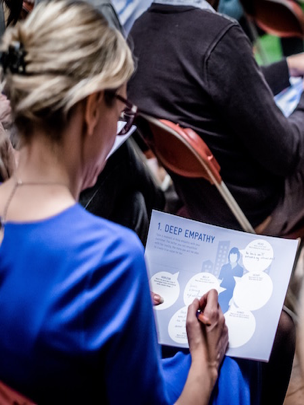 By attractively visualising a framework for the determined output, drifting discussions can easily be redirected towards the real goals of the meeting. Intervention by a facilitator is hardly needed, largely the group regulates itself! 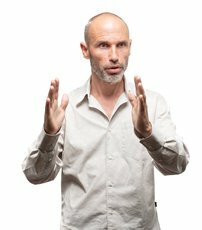 What leadership does your organization need? A topic that can fill the whole room (and beyond) with endless discussions. That’s why our Leadership Canvas not only provides a logic flow of subareas. It also clearly puts the value proposition as the central part to wich every subdiscussion has to contribute. Value proposition?! Yes, you read well. We do not think of leadership as just ‘a way of doing things’ but as an added value. Yes, you read well. We do not think of leadership as just ‘a way of doing things’ but as an added value. No matter the size of a group. Just gather them around one big (huge if necessary) canvas and not only you will get result, you will also have… a team! Different teams all facing the same exercise? 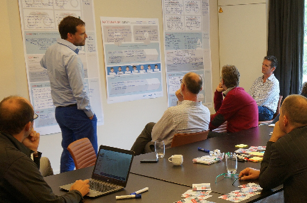 So easy, all you need is 1 room, 1 facilitator and as many canvasses as you have teams. Or is it just you? Hey, canvas also works individually, allowing you to reflect in a structured way from input towards output. 1 room, 1 facilitator and several teams working together on one and the same set of custom made canvasses. In this case it was all about aligning 200 employees around a new way of customizing their sales proposition towards their client. 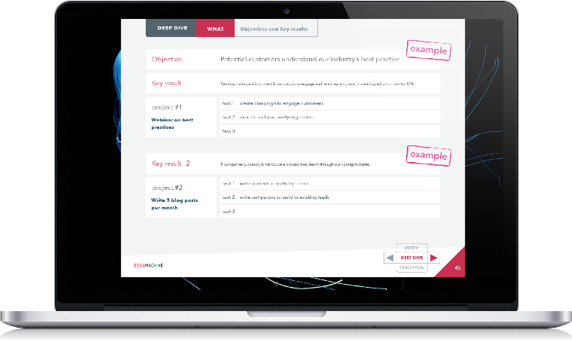 We designed a 'portfolio builder' which everybody learnt to prepare, execute and follow up in their consultative selling process. With our digital canvasses, we take the power of canvas even one step further. A reasonable part of the consultants role now is replaced by smart navigation and data processing. It still looks like a canvas when you beamer it, but it acts like an app! And it gives you control, so you might just want to kick us out! 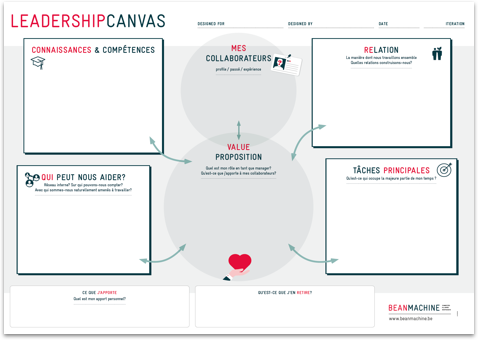 Experience the result of a mind-blowing canvas in your next meeting? I make sure we build what you need.